How to work out how much a square of fabric will make, or how to decide how big a square you need to start with for any given length – swanky calculator spreadsheet or handy table? Now it’s time to start using it. But oh dear, it’s not as easy as you might think when you start out. A straight line is fine, but corners – oh my! 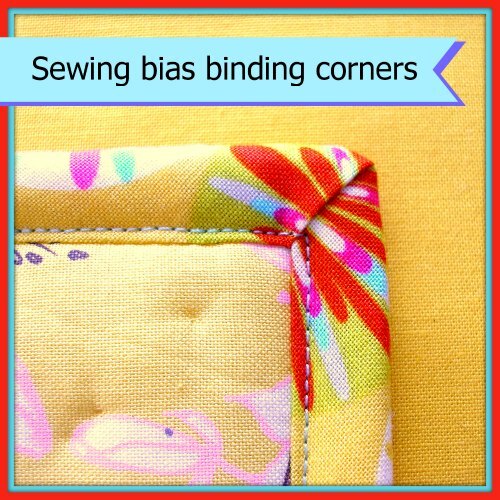 Take a look at these steps for how to turn corners with bias binding.